I was recently asked by some concerned people, “What is the most important thing you can do to prepare for an organized active shooter incident?” So many people want a magic answer to that question. They want to spend $50 on a solution and then be able to forget about it. Sorry, it’s time to live in the real world. Having the correct Mindset is the most important aspect of being prepared to handle whatever dangerous situation you find yourself in. Everything else you have at your disposal is just a tool. You need to know the environment that you are in. I try to carry always, but sometimes, as we all are, I’m forced to be in a location where it is impossible to have a firearm with me. Am I defenseless in those circumstances? Are you? I was recently on a “Trip” where I needed to look like no one special, like anyone. 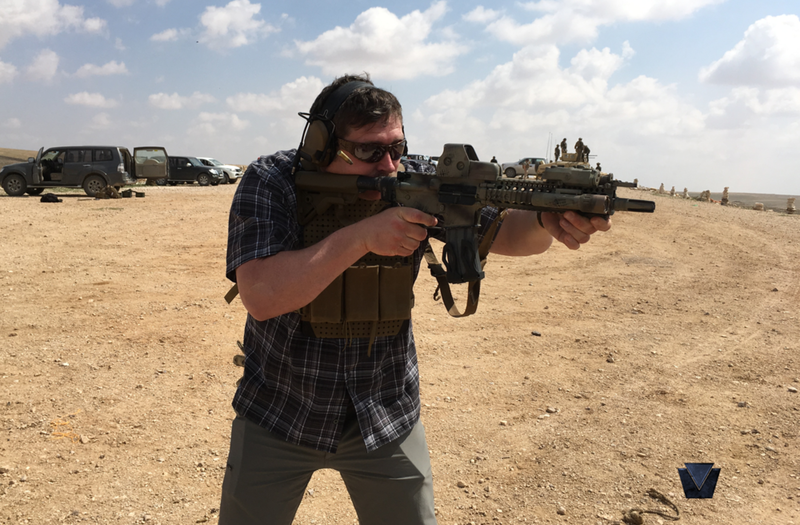 So, without looking like a model from the newest Tacticool catalog, I dressed normally for the environment I was in. I had my Glock 19, spare mags, knives, and some med kit on my body, but you couldn’t tell. I put my Sneaky Bag to great use. I had my suppressed MK18 with a Law Folder, extra mags, Med kit, and Frag all inside. It looked like I had a tennis racket bag and nothing more. For the situation I was in, this was reasonable. Was I any more dangerous, when I had all that on me, than those times when I’m forced to be somewhere without a firearm? No. More effective? Yes!! But not more dangerous. There are no dangerous weapons, only dangerous people; a fact I first read from the words of Ship's Sergeant Charles Zim, when I was 16. I didn’t understand it until much later. So, what is the point I’m driving at? The tactics are everchanging and evolving. Bombings, active killer(shooter), knife, vehicle, acid...but what is the one constant? You. Until you are ready to answer violence with violence and stop the attack, none of your fancy toys are worth what you paid for them. You will just become a liability to whatever situation you find yourself in. 1. Develop your mindset. Take the RTG Mindset seminar when it’s offered. Read up on the subject. There are plenty of good books and articles on the subject. Make it your lifestyle. 2. Know your environment. Dress and carry accordingly. I want to have as much of an advantage as possible. I carry almost all the time. I avoid places that I’m forbidden to carry, unless forced to. Always be seeking to improve your EDC. 3. Train, train, train. Get as much training as you can. Get as much well-rounded training as you can. Switch it up with different Trainers and Companies. I like taking things nice and slow, at first -- when I’m learning and when I’m teaching. After the Principle is understood, crank up the stress! Get that stress inoculation. This also includes Medical training. We all want to be the guy in the white hat saving the day at high noon with our six gun. The reality is, your knowledge and ability to render aid, to aggressively stop the bleeding, will be used more often than anything else. 4. Relax. Just relax and allow your senses to do their job. Listen to what they tell you. If you are all keyed-up, waiting for an attack around every corner, you will burn yourself out. You will not pick up what’s going on. You will be much slower to act. So, just relax.